With a quarter of the Earth's land surface affected, the United Nations Convention to Combat Desertification regards desertification as a worldwide problem. Delegates from the 170-plus signatories to the Convention currently gathered in Nairobi have been briefed by ESA representatives and national partners on how satellites are being used to track desertification in Europe. The Seventh Session of the Conference of the Parties (COP 7) of the United Nations Convention to Combat Desertification (UNCCD) began in Kenya's capital on 17 October and is due to conclude 28 October. The COP is the main decision making group of the UNCCD, which meets regularly to further the Convention's objectives. The UNCCD was established in 1994, in the wake of the 1992 Earth Summit in Rio de Janeiro which recognised desertification as a major social and environmental problem. Desertification does not so much refer to the spread of existing deserts as the creation of new ones, through the reduction of productivity of vulnerable dryland areas by soil deterioration and erosion as well as the long-term loss of natural vegetation. Such drylands cover 40% of the world's land surface, and are the habitat and source of livelihood for more than one billion people. Of the 5200 million hectares of drylands used for agriculture, more than 70% are classed as degraded. Asia, Latin America and Africa are particularly under threat, but some 30 million hectares of European territory bordering the Mediterranean are also affected, potentially threatening the livelihoods of 16.5 million people. ESA is backing a satellite-based information service called DesertWatch, working with national partners of four of the European countries most affected by desertification: the Greek, Italian, Portuguese and Turkish National Representatives to the UNCCD. Dryland desertification can be remedied or even reversed, provided information is available on what areas are most at risk. Satellite images can highlight relevant land use change along with increased surface reflectivity, temperature, dryness and dustiness. Infrared sensors can detect vegetation stress due to environmental shifts. DesertWatch products include national and sub-national risk maps plus severity/recovery maps, pressure indicators and state indicators. The intention is to create a means of authoritatively assessing and monitoring desertification and its trends over time. ESA is manning an exhibit throughout the UNCCD COP, and in addition on Thursday 20 October the Agency co-hosted a lunchtime briefing session on DesertWatch with its national partners. At the meeting, the first results from the project were presented to more than 30 delegates from different countries worldwide. "DesertWatch is not a research project but rather the development and demonstration of a handsome software package responding to needs and requirements of our users to better monitor and assess desertification and land degradation using Earth Observation technology" explained Olivier Arino of ESA. "The intention is that once the system has been successfully demonstrated it will be transferred to users for continued operation." DesertWatch builds a long history of ESA working with the secretariats of International Conventions and developing services intended to meet their needs. While DesertWatch is for the moment focused on what UNCCD classes as 'Annex IV' countries â€“ meaning the Northern Mediterranean â€“ the potential exists for the same approach to be utilised more widely in support of Convention activities. 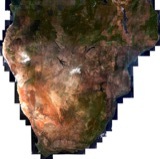 Part of ESA's Data User Element, the 24â€“month DesertWatch project began in September 2004. Italy's Advanced Computer Systems SpA is leading DesertWatch on behalf of ESA. 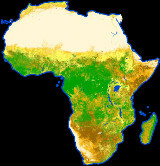 Additional contributors include Spain's National Research Council â€“ Arid Zones Research Station (EEZA), Italy's Ente per le Nuove Tecnologie, L'Energia e l'Ambiente in Rome (ENEA) and University of Sassari Desertification Research Group (NRD), the Research Institute for Knowledge Systems in the Netherlands (RIKS) and the Remote Sensing Department of the University of Trier in Germany.